Foo Fighters took the stage at Pinkpop Festival on Saturday night (June 16) in the Netherlands, and they got some free stage theatrics courtesy of a falling meteor. 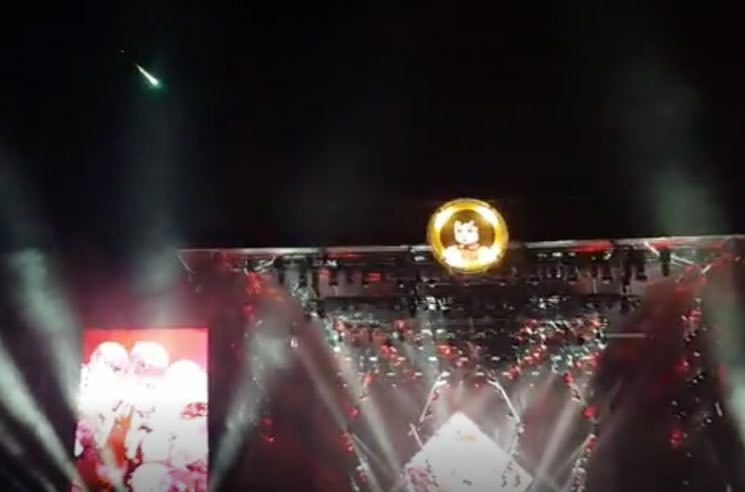 The flaming ball soared through the sky during Dave Grohl and co.'s headlining set, right in the midst of "Monkey Wrench." The meteor was reportedly seen across other places in Europe, visible from Belgium, Switzerland, Germany and France, as well. Watch footage of the expertly timed celestial event below.